Ruslan Provodnikov didn’t look his usual self when he lost a decision to John Molina back in June. He admitted as much afterward. Provodnikov is taking the rest of 2016 off, and his promoter says that there will be a conversation sometime in 2017 about the future of his career. “Ruslan’s back in Russia relaxing. He’ll probably make a decision a couple months past the new year whether he wants to continue or not,” said Arthur Pelullo of Banner Boxing, speaking with BoxingScene.com. “I believe he is going to fight again, because he’s a warrior and I don’t think he wants to go out that way. I don’t know what he wants to do, but I will go see him and discuss it with him. One way Pelullo said he can tell when it’s time for a fighter to retire is when he sees different levels of energy while observing what’s going on in the gym, in training camp and in the ring. But there was no sign of an energy drop in the buildup to Providnikov-Molina, he said. Taking three punches to give one tends to lead to a shorter career. 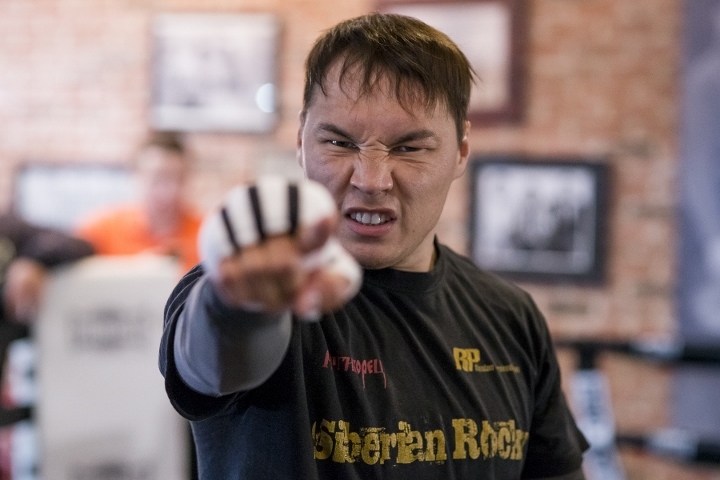 There’s always the possibility that the punishment Provodnikov has taken has begin to affect him. The question, then, is whether any Provodnikov comeback would be just about going out on a win or about attempting one final run. No matter what, however, Pelullo said Provodnikov needs to come back the same way. [QUOTE=hotep;17054879]another plodding caveman with no defense, just feed him to pooch and get it over with top rank! [/QUOTE]provodnikov is not even promoted by top rank you fuking retard. Stay retired, please. This is boxing. Not a "Tough-Man Competition". I wish Provodnikov well but I've always sad if your heart isn't 100% into it, it's probably a good idea to hang it up!